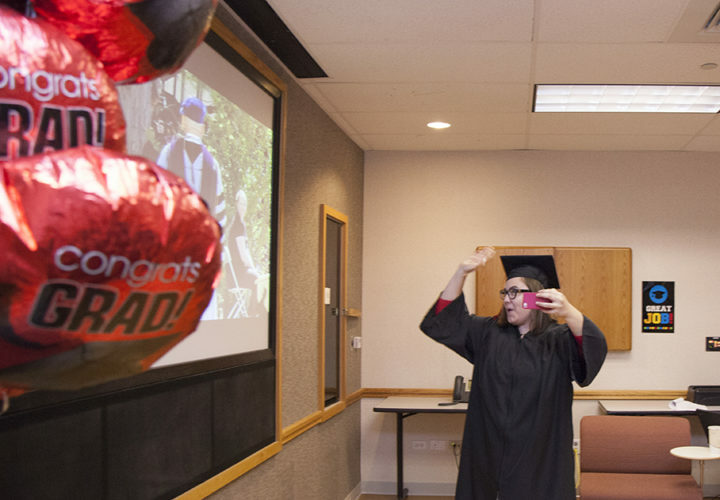 Using her iPhone Alexis "Lexy" Greenwell virtually walked the stage at Grinnell College's commencement. The college senior is thrilled to be alive, thanks to the power of music. Greenwell is a 22-year-old singer-songwriter, multi-instrumentalist and beatboxer, who has performed for Reba McEntire and shared a stage with David Foster and other celebrities, says music played a key role in helping her recover from several brain hemorrhages and two brain surgeries that threatened her life and nearly derailed her college career. After the surgeries she came to Craig Hospital for rehabilitation. "Music definitely helped save me. 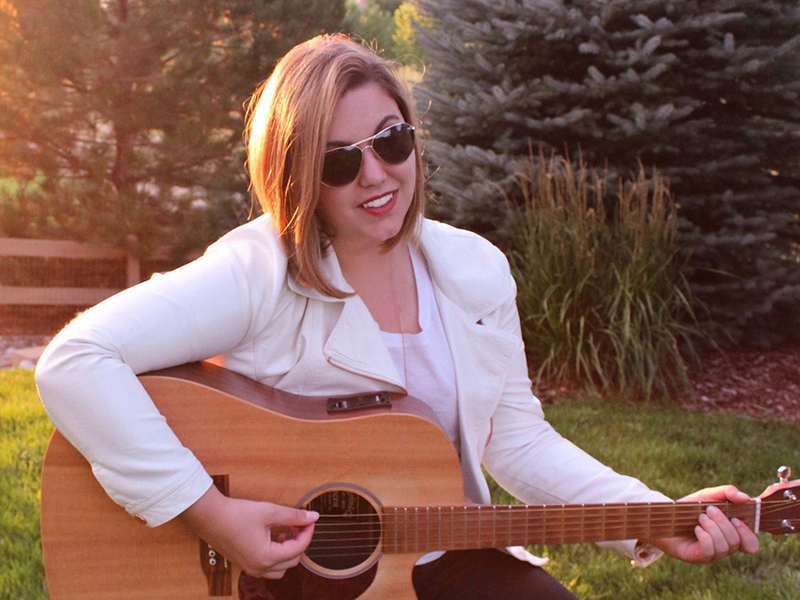 It was a huge part of my healing process," says the Denver area native, who recovered from both surgeries by singing, rapping and beatboxing while supplementing her intense neurological rehabilitation by playing the guitar and drums. 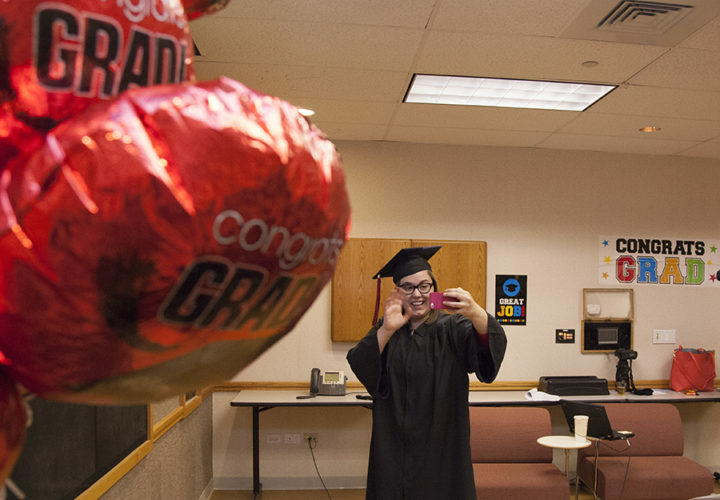 Greenwell, who completed her college courses via interactive technology, graduated from Grinnell College in Grinnell, Iowa, with a bachelor's degree in computer science and technology studies on Monday, May 18. 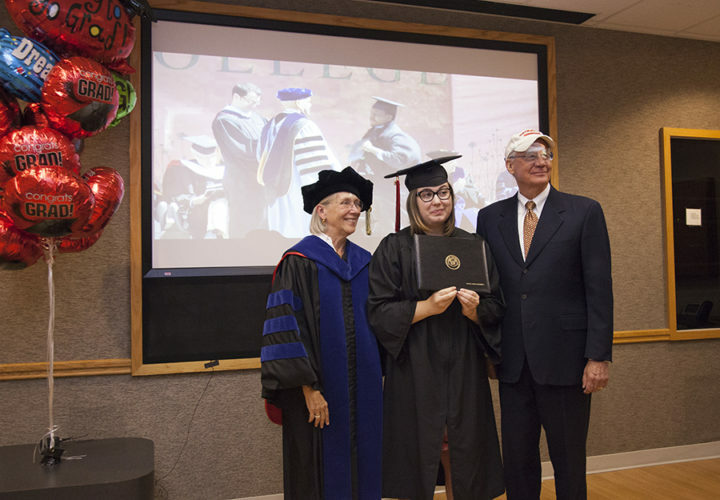 Greenwell needed to remain in the Denver area, so instead of attending commencement exercises, she participated via technology at Craig Hospital. 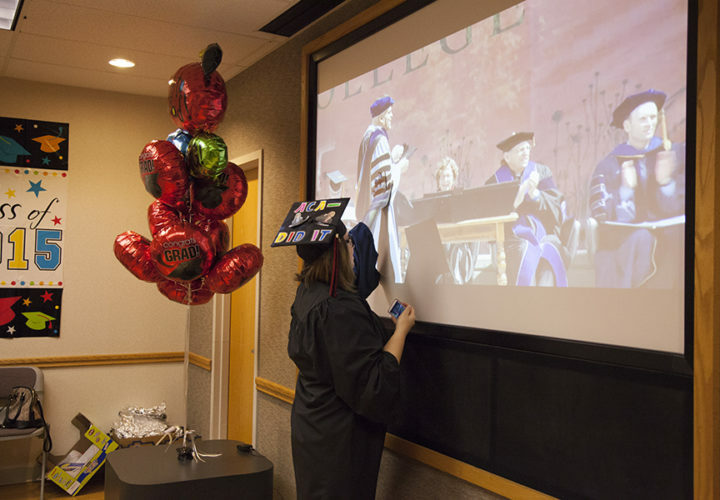 With family, friends and her medical team at Craig Hospital, Greenwell, sporting a cap and gown, viewed a live stream of the ceremony on a projection screen. Greenwell's faculty adviser, Janet Davis, walked across the stage in Greenwell's place, holding an iPhone connected to Greenwell's iphone via Skype. Greenwell was able to see the view from the stage and share in the experience as Grinnell College President Raynard S. Kington conveyed his congratulations. "It was really, really cool. It was just an exciting moment," said Greenwell. Grinnell College Trustee Steve Holtze and his wife, Elizabeth, both 1968 graduates of Grinnell, presented Greenwell with her diploma. "With her sparkling personality and can-do attitude, Lexy has always been a pleasure to teach and advise," Davis said. "She has shown remarkable determination in the face of adversity. 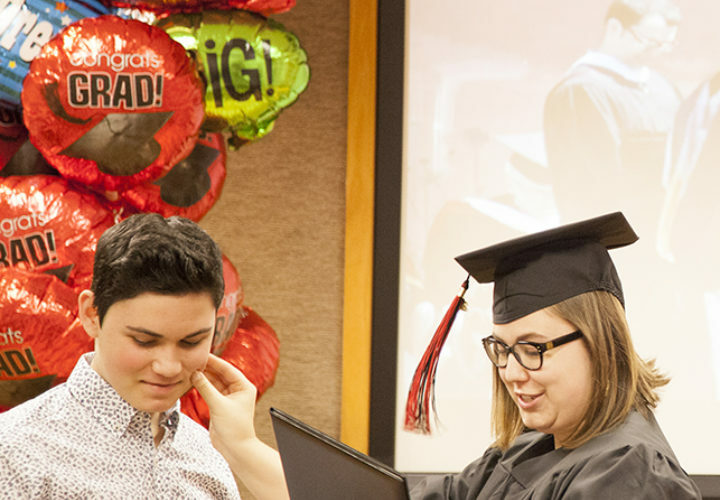 Lexy has worked closely with faculty, staff and classmates to participate fully in all of her classes — including a team software development project — despite being far away from Grinnell." Following graduation, Greenwell will work remotely as a summer intern for a music data analytics firm. She aims to combine her love of music and technology to become a music executive. She also plans to write a book about her experiences in hopes of inspiring others. "It takes some time when you go through something like this to get yourself to a place where you feel like you can move forward," she said, adding with a smile, "My future is wide open, and I'm so grateful for the amazing life I have." "This is place of healing for me. This is the place that helped me get on my feet, so it was an obvious choice for me to do it here." 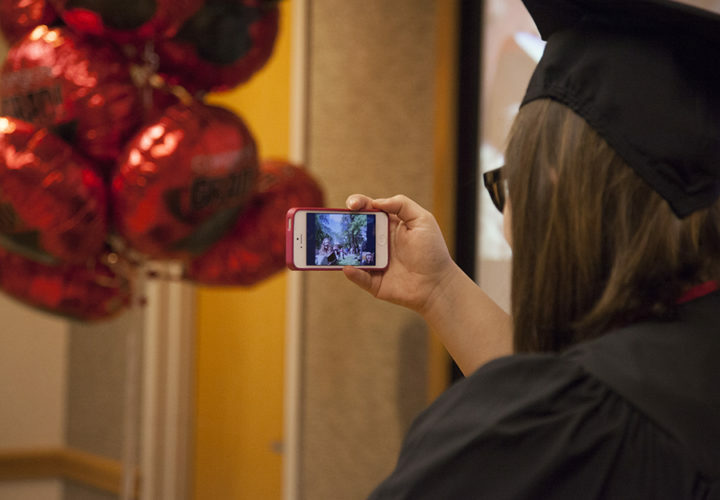 Lexy Greenwell looks at the line of graduates from her iphone before she virtually graduated from Grinnell College. 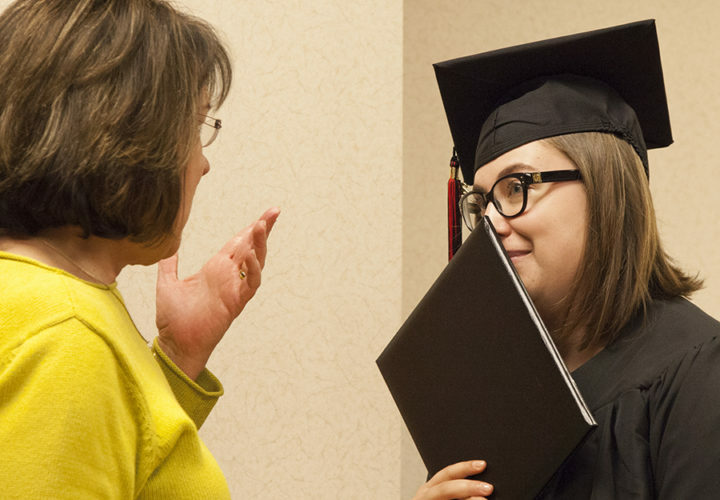 Lexy Greenwell celebrates after her professor and faculty advisor Janet Davis walks across the stage for her. 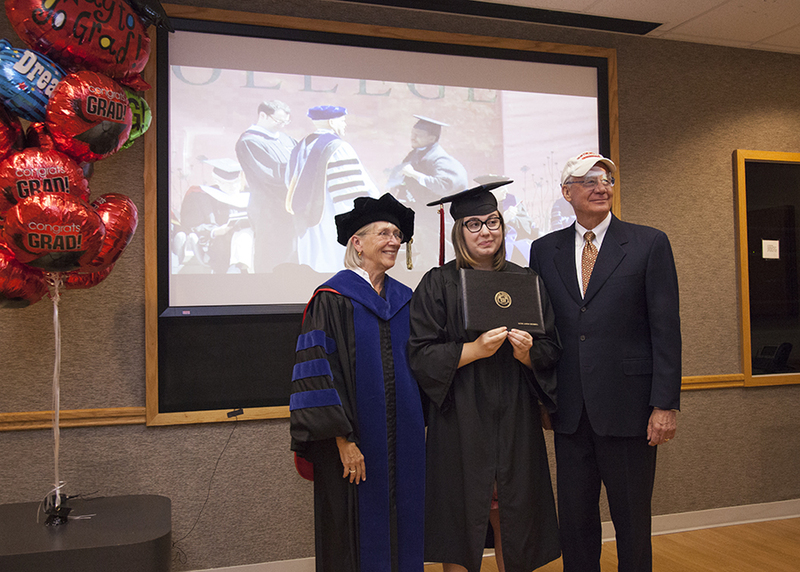 Lexy poses with Grinnell College Trustee Steve Holtze and his wife, Elizabeth, both 1968 graduates of Grinnell. Holtze presented Greenwell with her diploma. 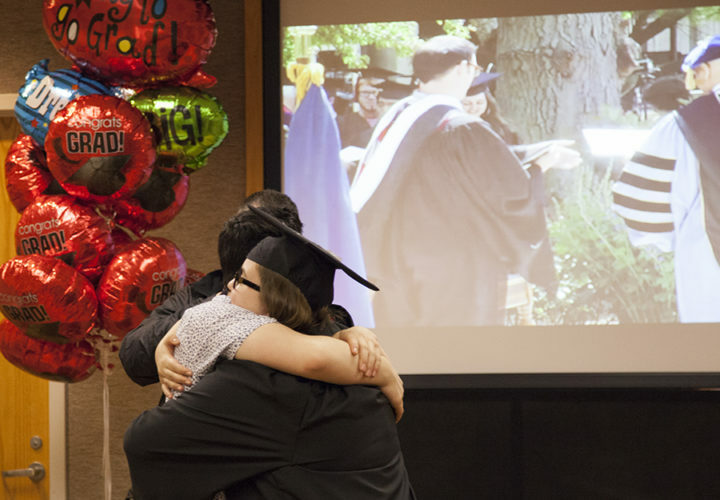 Lexy Greenwell hugs her brother after she graduates. 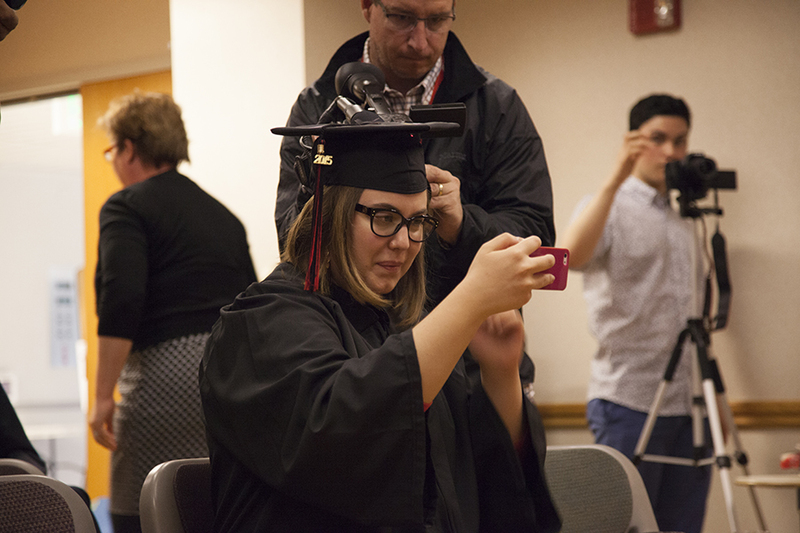 Lexy Greenwell touches the screen, where Grinnell College's commencement is being projected. 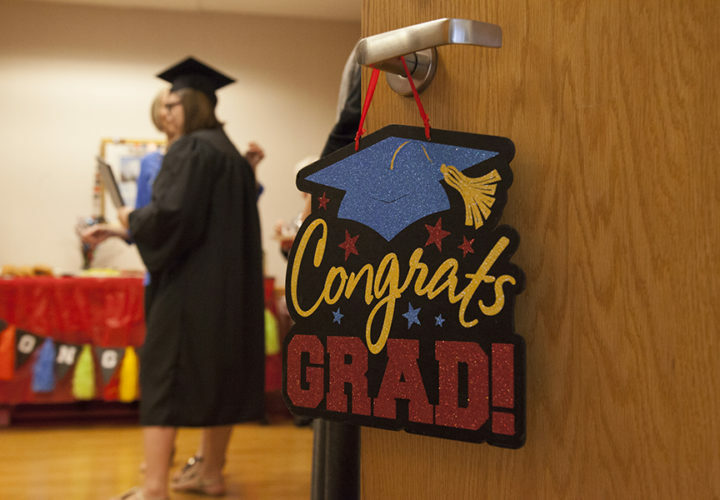 A sign says "Congrats grad" hangs on the door the Therapeutic Recreation Entertainment room, as new grad Lexy Greenwell celebrates her graduation with her family in the background. Lexy Greenwell talks to Heather Both, her outpatient therapy manager at Craig Hospital.